Home > Unlabelled > Are Sinhalese The Only Sri Lankans? Are Sinhalese The Only Sri Lankans? (March 06, Colombo, Sri Lanka Guardian) The constitutional council, as has been pointed by some others as well, is not an independent body. (In my view there are no independent bodies at all but it is a different question altogether.) It is a political party body where the interests of the political parties would be represented. In practice it would be a body representing the main government party (when it is a coalition), the main opposition party, the second largest opposition party, the Tamil and Muslim racist parties. It is assured that of the ten members at least three of the five members nominated by the prime minister and the leader of the opposition would be non Sinhala. These three members would represent the Tamils and the Muslims and though theoretically even Sinhalas could be appointed they would be representing the non Sinhala communities in the country. Out of the remaining seven there is no guarantee that all would be Sinhala representing the 70% Sinhalas in the country. The president in her wisdom to satisfy the aspirations of the Tamils (the aspiration of the Tamils is to deny the rightful place being given to the Sinhala nation, Sinhala culture, Sinhala language and Sinhala history) could appoint a Tamil or a Muslim or even a member of some other community as the representative of the president to the constitutional council. The member representing the parties in the opposition other than the UNP, could be a Tamil/Muslim. One could argue that unlike in the case of the three members nominated by the prime minister and the leader of the opposition to represent the Tamils and the Muslims, these members, though they could be Tamils and Muslims, are not nominated to represent the interests of those communities. However, that is the crux of the problem. There are no members to represent the Sinhalas in the constitutional council, though there are members to represent the Tamils and the Muslims. It appears that the other seven members represent the Sri Lankans, whoever they could be, in the constitutional council. The Sinhalas in this country are not supposed to think as Sinhalas. If they think as Sinhalas then they are branded as Chauvinists, racists, reactionaries, feudalists and what not. The Sinhalas are preached by the NGOs, the Sama mudalalis (peace vendors), the Bishops, the Bhikkus of the Palli Nikaya, to think as Sri Lankans. Sinhala films and dramas are produced to condemn "Sinhala Chauvinism" and to promote so called peace, Sinhala songs that cultivate a Sri Lankan mentality are sung by the artistes, Dutugemunu is degraded, the Mahavansa is portrayed as a book that has distorted the history of the country and in general Sinhalas are brainwashed that they should not think of themselves as Sinhalas. The media, especially the electronic media are full of Tamil racists or those who think of themselves as "enlightened" people and they make sure that anti Sinhala propaganda is given high priority. Sinhala has become a taboo among the so called "enlightened" people and even the Sinhala language is being "corrupted" by various business people who advertise their products in a "mixed dialect" and by some Sinhala language announcers in the electronic media who tend to show off their knowledge of English. While the Sinhalas are preached that they should think as Sri Lankans, the Tamils and the Muslims not only think of themselves as Tamils and Muslims but are encouraged to identify themselves as such through their dress, and the other symbols they wear. The Sinhalas have no identity and their only identity is a negative identity of not being a Tamil or a Muslim. The Sinhalas are identified by a process of elimination. One is not a Tamil, a Muslim or a Vedda or somebody else and therefore one is a Sinhala or rather a Sri Lankan. Only the Sinhala ladies who wear the "osariya" have a positive identity, but with the present day young ladies going for western, north Indian (I wonder whether Kuveni changed her dress after meeting Vijaya), Pakistan or any dress other than the "osariya", very soon even this identity would be a thing of the past. In contrast young Muslim ladies could be seen in their "traditional" dress much more often now than in the past. The MPs of the Tamil racist parties walked out of the parliament while the 17th amendment to the constitution that established the constitutional council was being debated. They were not happy with what was offered and probably wanted more. They would tell us that the 17th amendment does not solve the "problems" of the Tamils or that the aspirations of the Tamils are not fulfilled. In any event while the UNP and the PA are not supposed to think of themselves as Sinhala parties (they are not anyway), the Tamil and Muslim parties continue to identify themselves as such parties. Some of the parties have not only Tamil but Tamil Eelam in their names. They are not supposed to think and act as Sri Lankans, but are free to preach the Sinhalas that they (Sinhalas) should think and act as Sri Lankans forgetting their "Sinhalaness". Though the "enlightened" people in the NGOs and the Tamil racist parties would not agree with me the Sinhalas are among the most tolerative nations, if not the most, in the world. As I have said very often the Tamils and Muslims in Sri Lanka enjoy more privileges than any other minority in any other country with a history of more than two hundred years. What we have in Sri Lanka is a Prathi (anti) Bhumi Puthra Policy and all sort of arguments are brought to make sure that the Sinhalas would feel guilty of what ever they do. So many anthropologists and sociologists, not necessarily the Sinhalas, have "studied" the Sinhala society and Sinhala Buddhism not from a patronising position. (There are no so-called objective studies as there is no objectivity as such. Objectivity, Objective Materialism, Subjective Idealism etc., arise from the mistaken belief that perception is independent of conception. Once it is realised that as far as "kama loka" beings including the human beings are concerned there is no perception without conception the duality between the mind and the world and with that all forms of idealisms and materialisms vanish. It has to be emphasised that it is not necessary to have a language to conceptualise. Those who are interested and have an elementary knowledge of Sinhala could read "Mage Lokaya" for details.). In contrast how many anthropologists, especially the Sinhalas among them have studied the Tamil society? It has to be remembered that those "scholars" who are not sympathetic to Sinhalas, and especially Sinhala Buddhists are criticised but are tolerated in the Sinhala society. No responsible person or society has asked the government to ban these works, though the government intervened unnecessarily to proscribe "Buddhism Betrayed" by Dr. Thambiah, thus helping his publishers to sell few more copies of the book. It is not difficult to reply to these "scholarly" works and in the case of "Buddhism Betrayed", late Dr. Gunapala Senadheera wrote a series of articles to "Divaina" on the book. I myself wrote a booklet called "Bududahama Pavadeema" and I would further argue that there is no Buddhism to be betrayed and Sinhala Buddhism of king Dutugemunu, as modified by Rev. Mahanama of Mahavansa fame, Anagarika Dharmapala and others over the centuries, has not been betrayed by those referred to in "Buddhism Betrayed". In any event Buddha Dhamma of Buddha cannot be betrayed, though many intellectuals from Rev. Asanga, Vasubandu, Nagarjuna to Buddhagosha could have given different interpretations to Dhamma thus creating their own " Buddha Dhammas" and none, not even a social anthropologist, should identify any Dhamma with a culture based on the Dhamma. All those who preach the Sinhalas, including the western media personnel, western ambassadors should be sent to Malaysia to "study" how the Tamils (Indians) and Chinese Buddhists are treated in that country. Malaysia is richer than Sri Lanka and they should be careful not to identify facilities as privileges. Tamils in UK or USA may be having more facilities than the Tamils in Sri Lanka though Tamil is not an official language in those countries. The Indians do not have to take the trouble to go to Malaysia as they themselves know that Tamil is not an official language in India and in certain government schools in Tamil Nadu itself the Tamil students are not taught in their mother tongue. I am not arguing that the composition of the constitutional council should be based on the population ratios. In selecting the Sri Lankan cricket team no body would say that there should be so many Tamils, so many Muslims and so many Christians. We are all proud of Sanath Jayasuriya (not for holding hands with Sama Mudalalis, but for his performance in the cricket field), Muththiah Muralitharan, Russell Arnold and T. M. Dilshan. They, I suppose carrying forward a tradition initiated by de Sarams, Gunasekeras and Sathasivams, have introduced a Sri Lankan flavour to the game of cricket. We all look forward to see Muralitharan passing those magic numbers of 400 and 500 wickets in Test cricket. 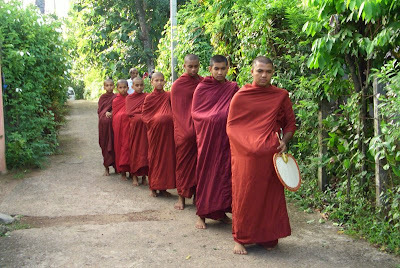 None would count the number of Sinhala Buddhists in the national cricket team. However when it come to politics, the Tamil racist parties have been counting heads from the nineteenth century. When the Legislative Assembly was established in 1833 the British baptising Tamil racism in this country appointed one unofficial member each to represent the Sinhalas, Tamils and the Burghers. From that day onwards Tamil racists have attempted to see that the Sinhala majority in the legislature is turned into a minority through artificial maneuvering. When Mr. Ponnambalam Ramanathan said that he represented the Muslims also in the Legislative Assembly and talked about a Tamil nation not only he created his own history of Tamils (those historians and others who claim that it was Anagarika Dharmapala who created the Sinhala nation in the nineteenth century are silent about the statements of Mr. Ramanathan and others leaving the "enlightened" people to believe that the Tamils had a history of more than two thousand years in this country, without an iota of archaeological or historical evidence) but also made way for a future Ashraaf. Mr. Ponnambalam Ramanathan by insisting on a separate seat for the educated Tamils in the western province and later forming his Tamil Association took the first step in forming Tamil racist political organisations. The infamous 50- 50 demand which tried to reduce the Sinhalas to a minority and the demands of the Ilankai Thamil Arasu Kadchi (Lanka Tamil State Party - so called Federal Party) were to follow. It is this attitude of the Tamil racists to reduce the Sinhalas to a minority in the legislature, to deny the rightful place being given to the Sinhalathva, that has caused the present problem. The Tamil racists and the Muslim racists by insisting that they should be represented in the Constitutional Council are only following the footsteps of Ponnambalam brothers and the others. The Tamils and the Muslims, supported by the "enlightened scholars" in the NGO sponsored "research institutes" and the western ambassadors and their spokespersons who intervene in Sri Lankan politics by not only having discussions with Prabhakaran in the Vanni jungles but also holding hands with the Sama Mudalalis (can our embassy staff in the western countries hold hands with such groups in those countries? As long as we have spineless leaders we will continue to be dictated by the third (rate) secretaries and others of the western embassies) insist that they should retain their Tamil and Muslim identities and that the constitutional councils and other bodies should have Tamil and Muslim representations but not Sinhala representations. They all want the Sinhalas to be Sri Lankans and forget their "Sinhalaness". Not only Prabhakaran but his so-called moderate cousins in Colombo have no intention of solving the Tamil racist problem that the Tamils created with their racist attitudes and with the help of the British.